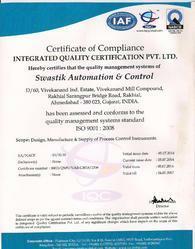 Founded in the year of 2005, we, Swastik Automation & Control, are one of the topmost organizations of the industry actively affianced in manufacturing, supplying and exporting an optimum quality array of Automation Products. In this commendable assortment of products, we are offering a broad array of SRC Controller, Temperature Scanner and Process Controller. These products are developed and designed by utilizing finest quality components in compliance to the well defined parameters by the relevant industry. Presented products are widely demanded across the market for their unparallel processing, correct performance and trouble free installation features. 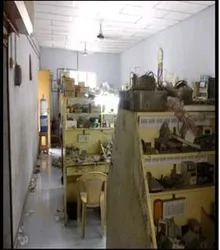 We have developed a well equipped infrastructure unit at our premise to manufacture our broad spectrum of products. We have selected our professionals after verifying their knowledge and working experiences. Our facility has all the modern machines and tools to develop the offered assortment of the product as per the laid industry norms. Our quality experts check the provided products at each and every phase of development. 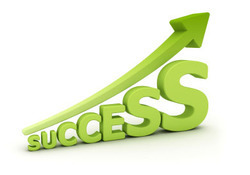 Also our team members are fully aware with our clients focused approach so they are developing the product accordingly. We are developing the offered product with a good production rate and thus we are able to meet the bulk demands of the offered products in timely manner. We are offering these products at nominal prices. We export our products in UAE, Egypt and Indonesia. Under the valuable assistance of our mentor, Mr. Sachin Soni, we have been capable to offer optimum level of customer’s satisfaction. With the help of his motivation we are growing in the industry everyday effectively. Backed by a team of qualified professionals, we are able to suit the exact requirements of our precious clients. With the help of our experienced professionals, we are able to deliver highly durable automation products. The recruited personnel are technically very sound and are extremely dedicated towards their allotted work. To keep our team members updated with technical improvements, we arrange seminars and workshops at regular intervals of time. By means of our well qualified and assiduous professionals, we have successfully offering quality approved automation products. Our invariable dedicated work to enhance our quality and catering clients' demands are exceedingly treasured. We ensure to deliver our products within the promised time-period as per the clients detailed requirements.